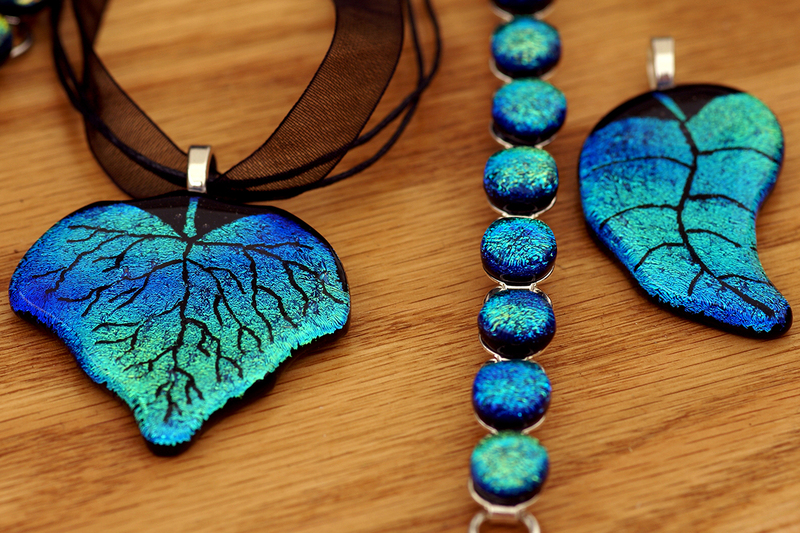 Dazzling Dichroic Designs from a Musically Minded Maker. 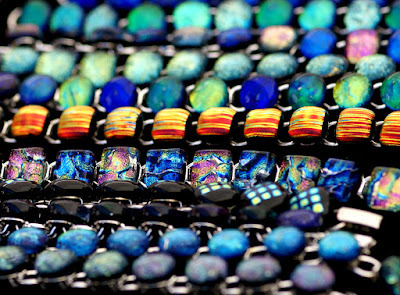 Eye Catching Creations Fusing Layers of Colored Glass. 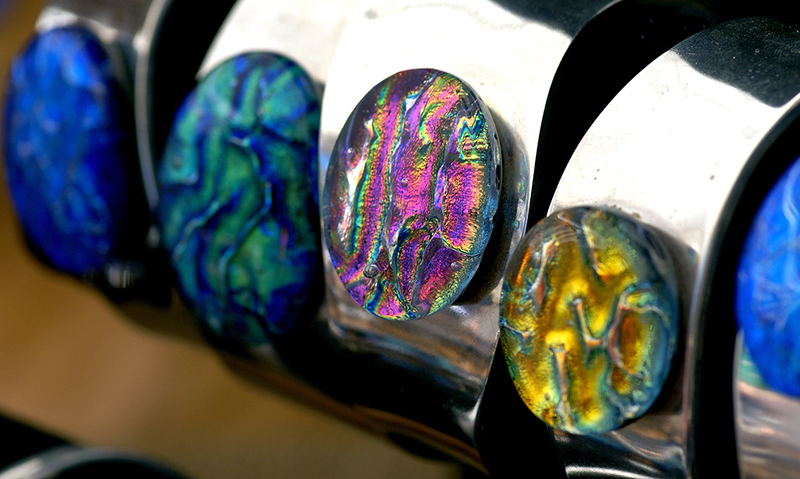 There's nothing that shines quite like dichroic glass. This unique material comes from layers of glass and reflective elements combined to produce a variation of colors depending on how light hits the surface. While some artists use it sparingly for embellishment, others like Terri McAshan aim for the full wow factor, and believe me, her work really sparkles! Terri is a local maker that got her start with stained glass, designing pieces that were enhanced by the sun shining through. 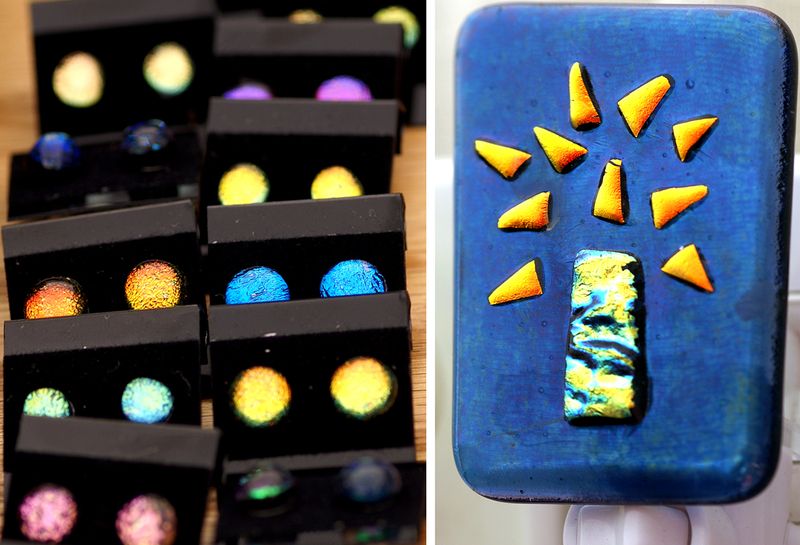 However as she found her way into fused glass and discovered the beauty of light reflecting off of dichroic, she was hooked! These days, she focuses her efforts on jewelry, often bold, statement pieces in beautiful sets of earrings with matching pendant, bracelets and more. Terri gets her inspiration in both music and nature, and that usually manifests in her flowing shapes or mix of colors. While dichro is best know for the reflection, Terri also keeps her stained glass skills handy for items like night lights that combine the element of translucence. These are lights for more than just kids with the fun patterns she creates and the colored light it adds to any room. Beyond the actual time spent making, Terri really enjoys the opportunity art has given her to connect with other talented makers vending their wares and potential buyers enjoying them. There's a really welcoming community of market artists in Austin and active supporters thanks to the shop local movement. 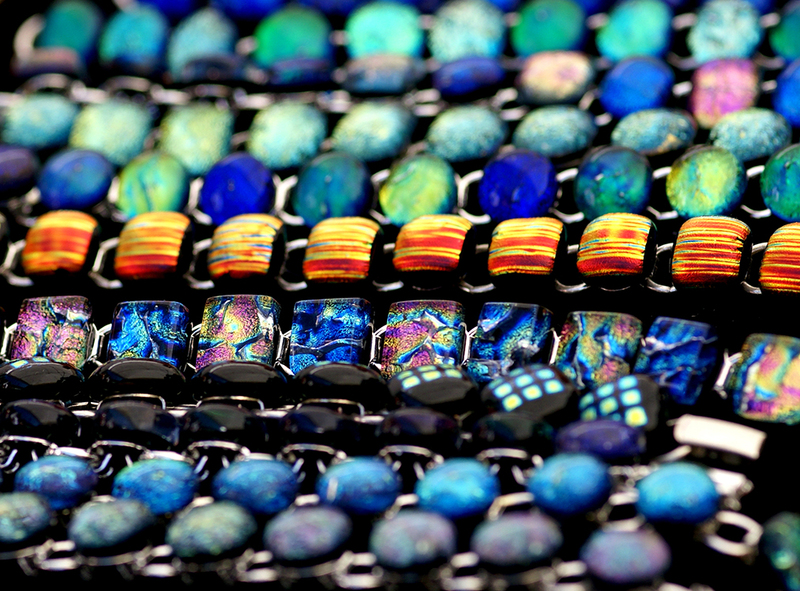 We're lucky to have shining examples like Terri and her glass jewelry to liven up any outfit!